A boy tells what he likes and doesn't like about birthday parties. Describes children who are bothered by the loud "Pop!" of a balloon, or don't like party games, the feel of party hats, crowds of noisy children, etc. 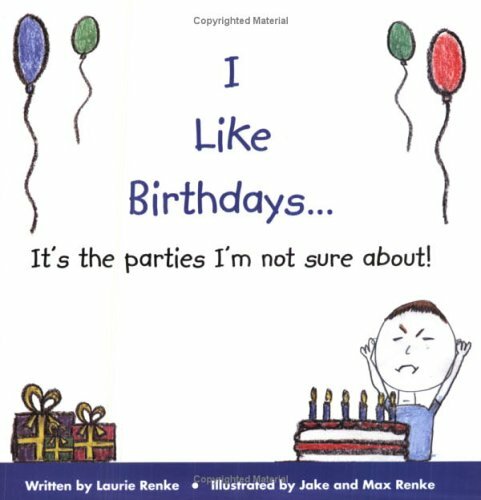 Book written from the child's perspective, shows how overwhelming birthday parties can be. The reader will learn to understand what a child's actions are really saying and learn about sensory processing disorder through the eyes of a child. Sensory integration dysfunction (DSI). IL K-3.